Montecasino’s woman-rich environment has always strongly encouraged career growth, with many of the property’s departments and two of the three hotels run by women. 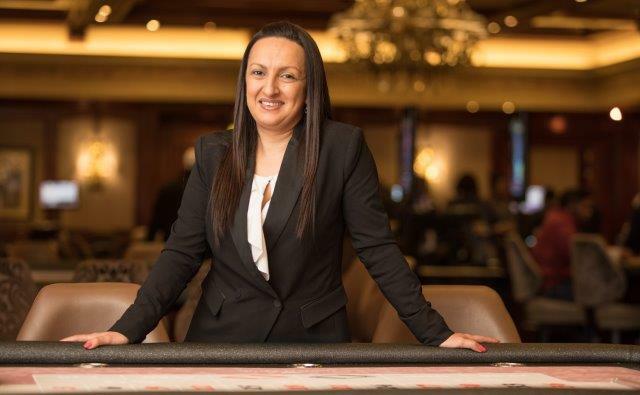 Caroline Naidu, Tables Manager at Montecasino (https://www.tsogosun.com/montecasino) with a team of 500 people, has risen through the ranks and is a powerful role model to other women in her team and on the property. Naidu says she considers that “the opportunity to mentor and develop a number of people who’ve subsequently achieved great successes in their roles” to be a major achievement in her work life. She grew up in Newcastle in KwaZulu-Natal and joined the local Monte Vista Casino as a croupier straight from high school almost 20 years ago, intending to earn money for her tertiary education, but she was captivated by the casino world – and she remains so today. Naidu quickly has moved around among South African casinos, steadily moving up the ladder. From Dealer, she became Supervisor, Pit Boss, Duty Manager, Assistant Tables Manager, and then Tables Manager. She worked at Montecasino briefly in 2000 as a Dealer, at Emerald Casino in Vanderbijlpark, Suncoast in Durban for about 11 years until 2013, Golden Horse in Pietermaritzburg, Silverstar in Krugersdorp in for two years, and was appointed to her present position at Montecasino in 2017. All in all, she has spent 16 years of her career at Tsogo Sun casinos and says she will always be impressed by and grateful for the excellent training and support the group has given her over the years. Naidu’s life beyond Montecasino is also demanding but extremely rewarding. She is a single mother of three, a 20-year-old son and two teen daughters, aged 15 and 14 in high school – and her spare time is devoted to family activities.